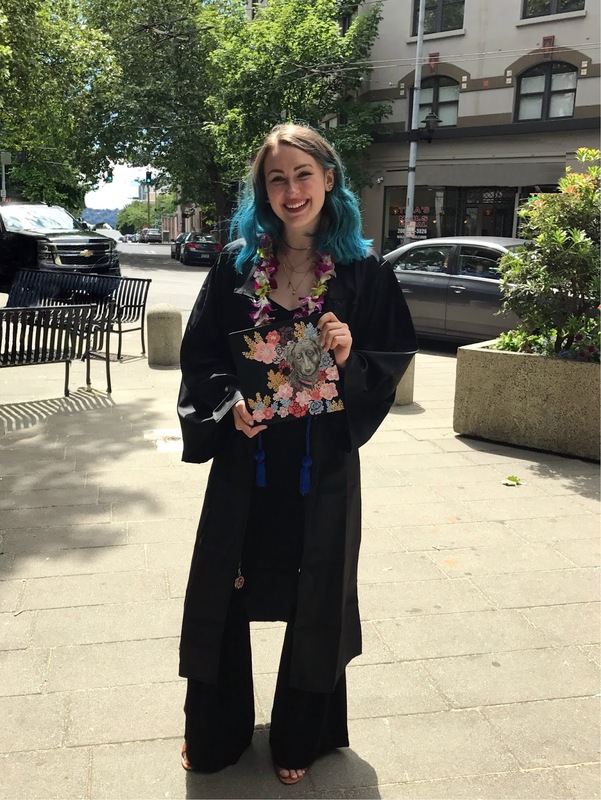 ICYMI: last week, I walked in my commencement ceremony 6 months after graduating from Seattle University. The weekend was filled with emotion. I found myself reflecting on my time in college and being incredibly nostalgic and hopeful. Since I thoroughly believe in being open on the internet and because I need an outlet to work through these thoughts and feelings, I figured I'd write a little something about what graduating meant to me. *TW* Suicide, depression, anxiety, and other themes of mental health. I chose to attend Seattle University because of its small class sizes, amazing city location, and emphasis on social justice. I applied as an English major, but switched to Psychology at my freshman orientation weekend. I'd later add, then drop, a Spanish minor, and switch my Psychology degree to a bachelor of science. 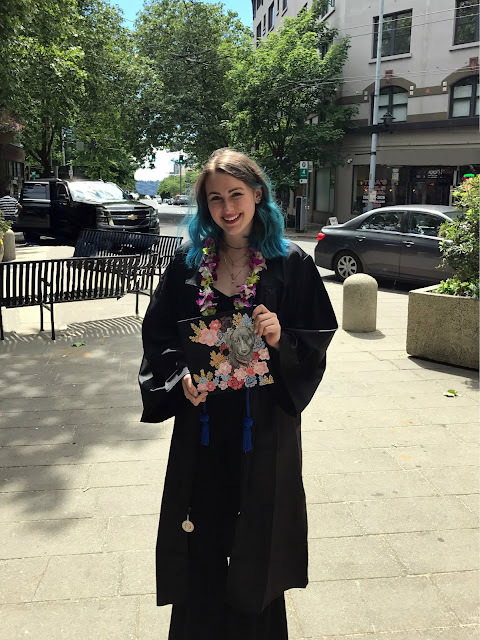 I chose Psychology because it was something I believed would help me better develop novel characters while still having real-world applications. 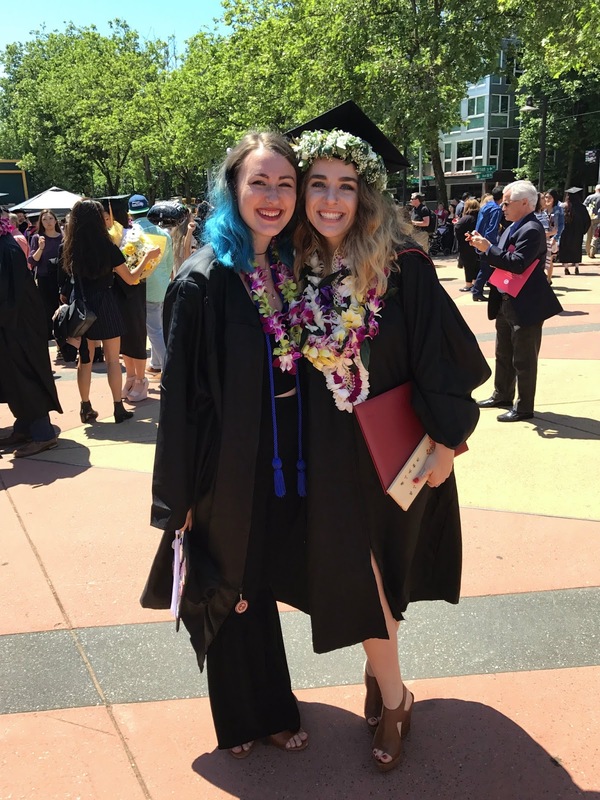 I learned a lot from Seattle University as an institution, both in the classroom and out. 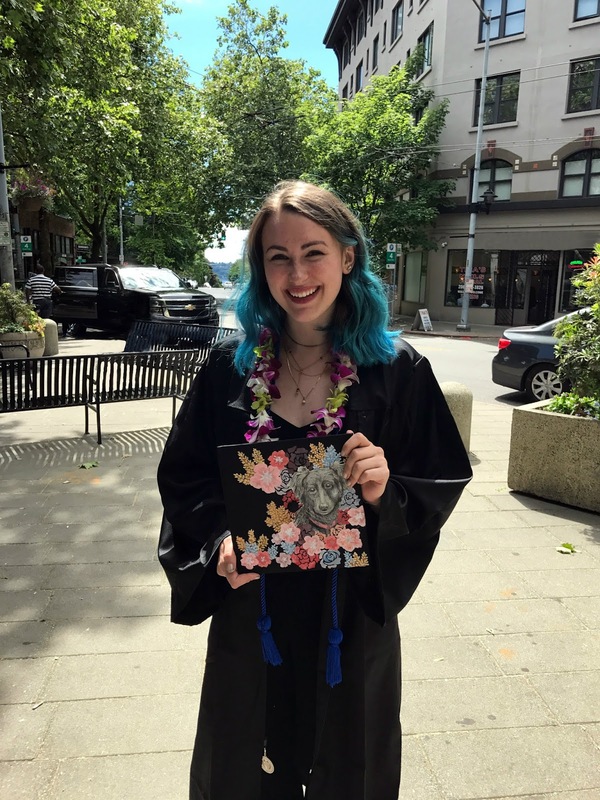 I quickly became involved in the Jewish Student Union and learned more about Judaism outside of Central Oregon and my family. I was having weekly (if not daily) panic attacks and severe depressive symptoms, and was forced to register with Disabilities Services, where I learned that religious institutions like Seattle University aren't legally required to follow the ADA. I became more and more invested in the field of Psychology. I learned what "divestment" means, and why it's so necessary for any institution that preaches social and environmental justice to divest. I started writing for and eventually was the president of the Seattle University chapter of Her Campus, which taught me so much of what I know about journalism. My professors taught me how to target and chase my dreams, and gave me a completely different outlook on life. I learned a lot from my fellow students at Seattle University, too. I found and became close with some truly amazing people. I learned what it means to love and support the people in your life in ways that have lead to some of the most enriching relationships I've ever experienced. I'm lucky to have my friends, and I truly don't know where I'd be without them. They've supported me emotionally and physically, they've pushed me academically and as someone invested in social justice, and they've provided me with memories that I will treasure for the rest of my life. Even since I've moved to New York, my friends text and call me regularly so I can remain close to them. 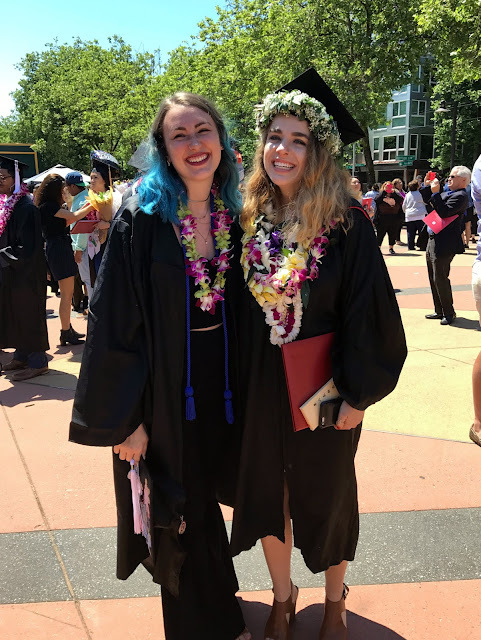 I'll never be able to express how grateful I am for every last one of the friends I made and, in a couple of cases, became closer to at Seattle University. After years of being surrounded by the same people (with the exception of the year I spent in Spain, which is an entirely different story), I had the opportunity to surround myself with people who questioned and challenged me during my time at school. My professors, peers, and members of my community pushed me to recognize and utilize my privilege to help drive what I feel passionately about. I learned in academic, social, and community settings what social justice truly means and how I can be involved in it. I'm still learning and pushing myself every single day, which is work I feel good about doing. Of course, the last 4 years haven't been all sunshine, and not just because Seattle is notoriously rainy. I was rejected from all 28 of the internships I applied for between my sophomore and junior years. I lost some friends, primarily due to my own irrational and unsupportive behavior. I went from being on the Dean's list to getting C's in my required classes. My mental health steadily declined to the point where I ended up in the hospital a couple times before being admitted for a week-long stay. I had to quit my job and my extracurriculars and start seeing the doctor and a group of therapists on a near-daily basis. I was dumped out-of-the-blue by the person I thought I was going to spend the rest of my life with. I rocked some unfortunate haircuts. Nevertheless, I persisted. Everyone goes through hard times. Everyone had obstacles that made getting through any given period of their lives difficult. Sometimes, we need to take a step back and work on something closer-to-home, putting the rest of our lives on hold or suspending a dream or 2. Sometimes, we need to push through. 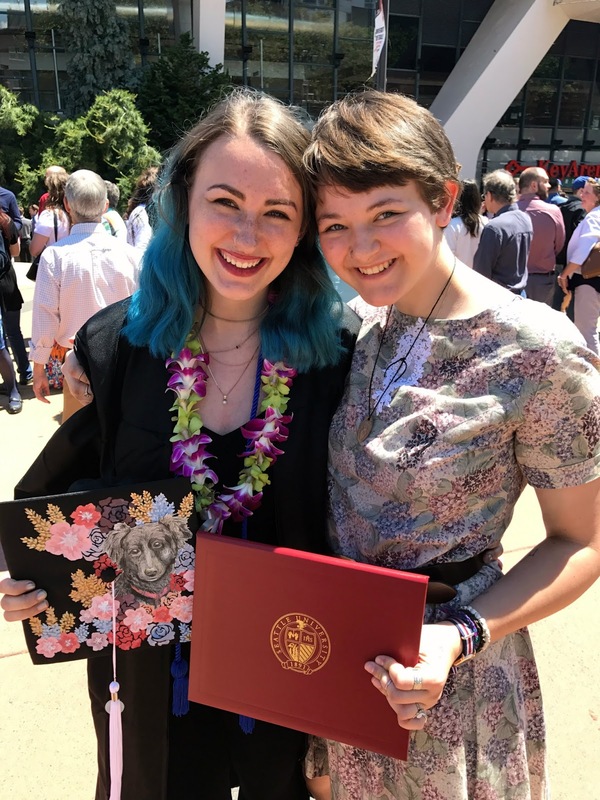 With the support of my friends, family, emotional support dog, most of my professors, my medical and therapeutic team, and my own damn self, I pushed through and graduated from Seattle University 2 quarters early. 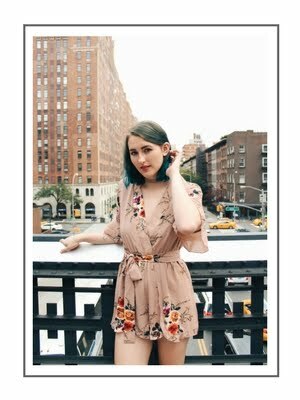 I accomplished a goal that I've had since I was a child despite struggling with chronic depression and an anxiety disorder. 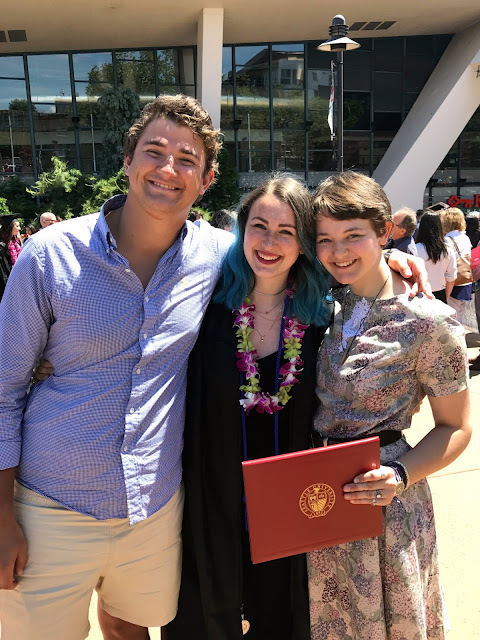 It's easy for me to beat myself up for the things I wish I'd done better during my time in college– I wish I'd treated my high school friends better after graduation! I wish I'd done less justifying and more working on the symptoms of my mental illness! I wish I'd graduated with Latin honors! I wish I'd fed myself better!– but I'm working really hard to be proud of myself for my accomplishments without leaning on why I didn't do better.